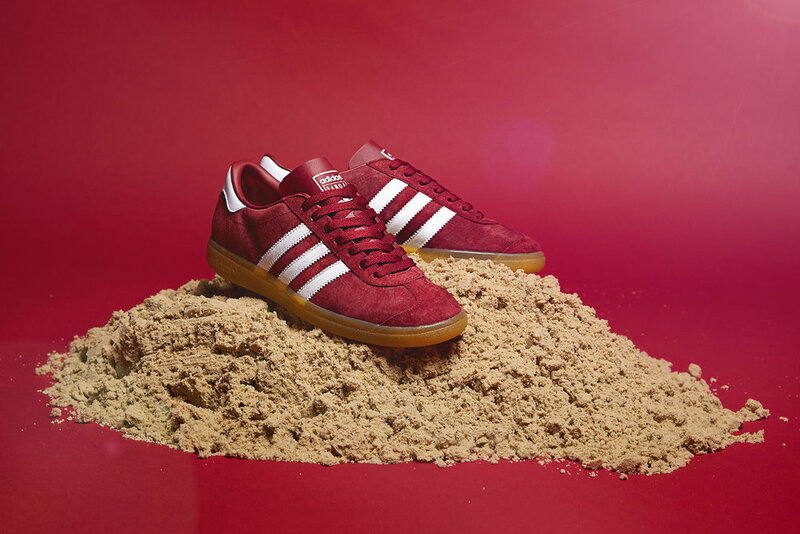 Originally released throughout the early 1970′s and early 80′s, the adidas Island Series instantly made its way into the annals of sneaker folklore with its simple design, head turning colourways and names that recoiled images of faraway lands. Instantly embraced by terrace ‘casual’ culture in the UK, the series eventually became popular globally, leading to 20 styles being released in total. For Spring 2015, adidas Originals have lovingly reissues the original, and arguably the best, three styles from the initial Island Series; Samoa, Hawaii and Tahiti. The first to land is the unmistakable adidas Island Series Samoa OG which is constructed from ‘Collegiate Gold’ suede uppers with contrast white three stripe and heel tab detail and clear indoor gum sole unit.